Welcome to the Healthy Paws family! For our new customers and their four-legged family members, here are some important items to know after enrolling. 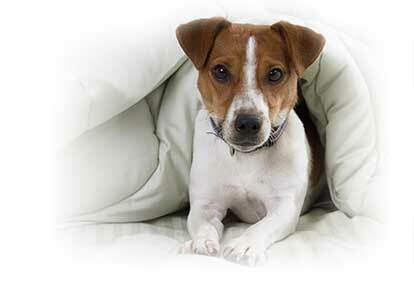 Protecting your pet’s health with Healthy Paws Pet Insurance makes it easy to give them the best medical care while protecting your bank account from unexpected, and expensive, veterinary bills. Welcome Email. You will receive a welcome email from Healthy Paws with information about your policy. If you didn’t receive it soon after enrolling, please check your spam folder and add us to your safe senders list! Paperless. We are an eco-friendly, paperless company (except for your claim checks). All policy and claim communications are delivered by email so please make sure your email address is correct. Send Us Medical Records. To help speed your first claim, whenever that may be, please ask your veterinary hospital to send your pet’s medical records to us by fax at 888-228-4129 or by email at records@healthypaws.com or upload medical records through our online Customer Center. The Healthy Paws Customer Center is your online resource for managing your pet’s policy, filing claims, reviewing your claim status, updating your billing information and much more. You can also download our Healthy Paws Mobile App for tablets and mobile phones. We’re an eco-friendly, paperless company and provide all information electronically to our customers by email and through our online Customer Center and Apps. File a claim – No more claim forms! Just file online or through our Mobile App. View your claim status – See real time claim status. Change your address – Moving? Make sure we have your new address so that you receive your claim reimbursements. Manage your policy - From adding a new pet to removing one, you can manage your policy easily online. Update your billing information – We accept credit and debit cards for your monthly payment. Don’t let your pet’s coverage lapse.